I have been coming to Silverwood for as long as I can remember. There is something special about this place, and for years, I couldn’t pinpoint exactly what it was that made it so special. There are theme parks all over the world, but none of them made me feel the way Silverwood does. 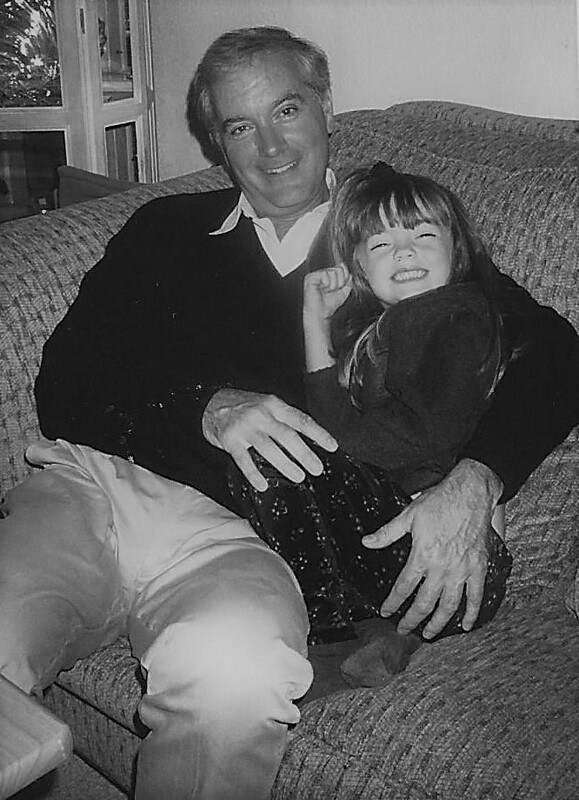 Until one day, I was telling the story of how my Grandfather started this fun-filled place and giant smile grew on my face. I soon realized what made this place so special. Silverwood was created by a man that was passionate about creating memorable experiences for others. Today I am going to share with others the story of that man, and his dream to create America’s Theme Park. It didn’t exactly start out the way you would have expected, but it turned into the largest theme park in the Northwest. Before I take you back in time, let me first tell you a little bit about myself so that you can see through my eyes. My name is Stephanie. 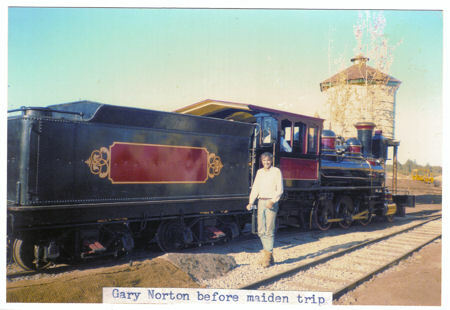 I am the eldest granddaughter of Gary Norton, the founder and owner of Silverwood, and I grew up here. While continuously walking in his shadow as we played in the park, I have always been fascinated with how intelligent, humble, and giving my grandfather is. He continuously works hard to ensure that every aspect of the park is top quality. This is his story, and I feel honored to be a part of it. Grandpa checking in on my sister and I while working at the park. 2011. Grandpa had just sold his company (International Systems Corporation) and was hoping to spend his newly found time playing around with one of his passions, which was flying and collecting antique planes. Once Henley passed on, his family sold the property to my Grandfather. When Grandpa took ownership of Henley Aerodrome, he turned one of the hangars into an air museum. One of his most prized possessions was his P-51 Mustang World War II fighter. Most of Grandpa’s stories revolve around this plane, but, unfortunately, there was a fire that burned 10 of his planes. After the dust settled, this event fueled his desire even more to collect treasures. Grandpa often traveled around the country going to different auctions in search of new additions to his museum. He ended up at an auction in Reno, Nevada in 1986, and he didn’t know that this day would change his life forever. This is when he found the train. The Porter steam locomotive began life in 1915 as Eureka-Nevada’s second No. 7. It ran from Eureka, NV to Palisades, NV between mines, hauling miners and equipment, and served in that capacity until 1938 when Eureka-Nevada ceased operations. By 1961, it had become part of the Bill Harrah collection in Reno, NV where it was rebuilt and restyled to resemble an older locomotive. When the Engine was at auction in 1986, the price reached $250,000, and only two bidders were left. My grandfather and a rep from Disneyland. Disney was looking for more tractive effort and #7 fit the bill. Nevertheless, the bidding war ended, and Grandpa got the train. After this big purchase, Grandpa went back to his residence and began laying down the tracks. My dad and uncles spent many hours putting this together. They leveled the ground, spread out the wooden rail ties and set down the steel rails into position. Luckily, all their hard work paid off. Soon, Grandpa felt that his train set would not be complete without a little town to go with it. Every detail of Main Street was deeply thought out. He hired an in-house contractor and local craftsmen to create all the intricate woodworking details that went into each building. Each door was built from solid wood in the carpentry shop, and the fireplaces and ornate mantels were expertly handcrafted. Before long, it was time to name this new destination. I was always told that my Grandfather just contemplated what represented the North Idaho area the most. The answer was simple, silver mines and forestland. Hence, Silverwood was born. At last, it was opening day. On June 20, 1988 guests from all around lined up to experience the train ride, pony rides, and the aircraft museum. The first year of operation there was about 110,000 visitors! After this, Grandpa soon realized that he needed more attractions to keep the guests coming back. 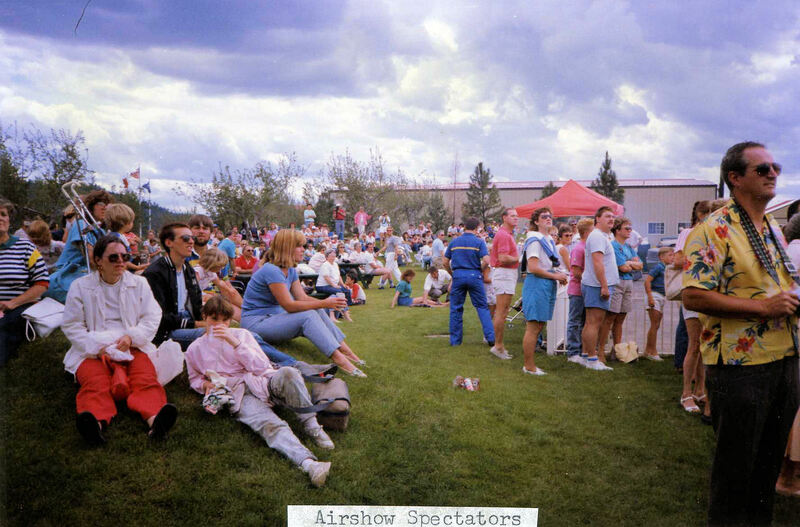 One of the earliest features at the park, were the air shows. This is the iconic memory of first time visitors of the park. I still find myself running into these folks and get caught up listening to their stories of what the park was like back then. I’ve heard the story of how Silverwood was created from my family many times, but there’s nothing like seeing a guest’s eyes light up and hear their side of the story. Each evening my Grandfather and many other pilots would pile up in beautiful crafted planes and perform their maneuvers in the sky. Grandpa said that he would open the show in his P-51 mustang by diving in and skimming the runway at over 350 miles per hour. A parachute team would even drop from the sky. Unfortunately, one day my Grandfather lost the desire to host these shows. His dear friend was killed during a show performance in Airway Heights and after that, he said that he was afraid of performing. However, the desire to fly still runs through our family. My Dad is a pilot, and has taken my sister and I out flying a time or two. There’s nothing quite like the feeling of being on top of the world. Another family passion is the love of music. 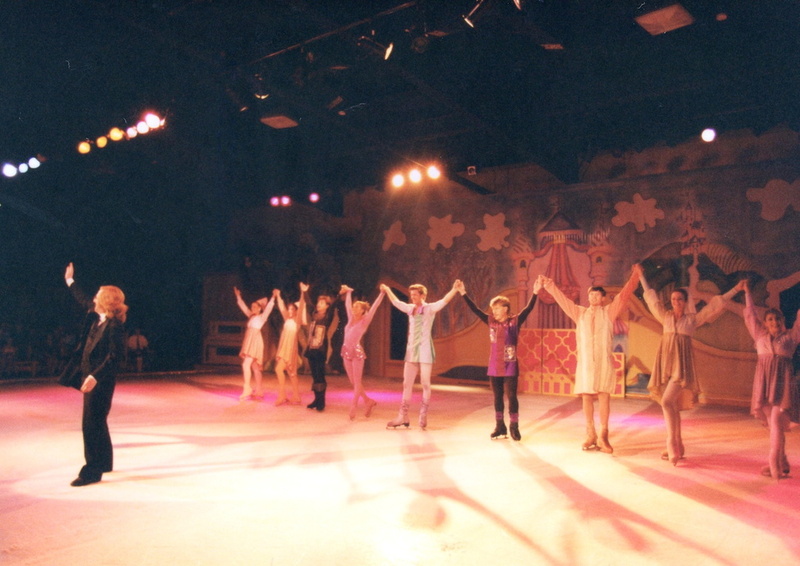 From this passion, the iconic Silverwood on Ice was created. This is one show that I would love to come back. Grandpa purchased a theatre pipe organ, found some very talented skaters from all over the world, and brought them to our little piece of heaven for the summer. The very first show consisted of toys in a store coming to life and playfully dancing to a melody. We even had the Russian world champion along with with several bronze medal Olympic pair teams on our ice at one point. Years later, I still remember rushing to sit in the front row, and feeling the frost hit my face as they landed their flips and turns. Most guests have a favorite ride in mind when they think of Silverwood. One that is very nostalgic is the Corkscrew. Originally opening in Knott’s Berry Farm in 1975, the Corkscrew was the first roller coaster to take an inverted loop. In 1990, Grandpa purchased the coaster and brought it back to Northern Idaho. Soon the Country Carnival was born. Treats, games, and carnival rides filled the newly paved pathways. Around the corner came the Roaring Creek Log Flume. This family favorite is settled within a barn and takes riders through a relaxing float through the woods, climbs a high hill, and then splashes down. However, you are not safe from water just yet, because your friends and family might be lingering at the spray station. 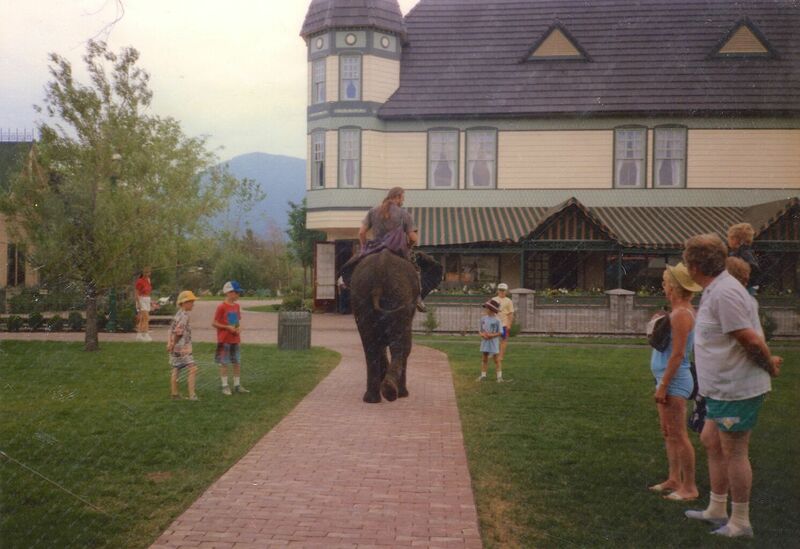 Here at the Silverwood we get many questions about whether or not we used to have animals at the park, and the answer to that is lions, tigers, and bears. Okay so there weren’t any bears, but there have been a variety of animals that have called Silverwood home at one time or another. Grandpa once pursued his childhood fantasy of owning wild animals, but in the end, he realized that these animals were called “wild” for a reason. He started by purchasing a full-grown African lion named Leonard. He was acquired by someone that raised the cat from a cub. Next was the more “famous” addition to the park. 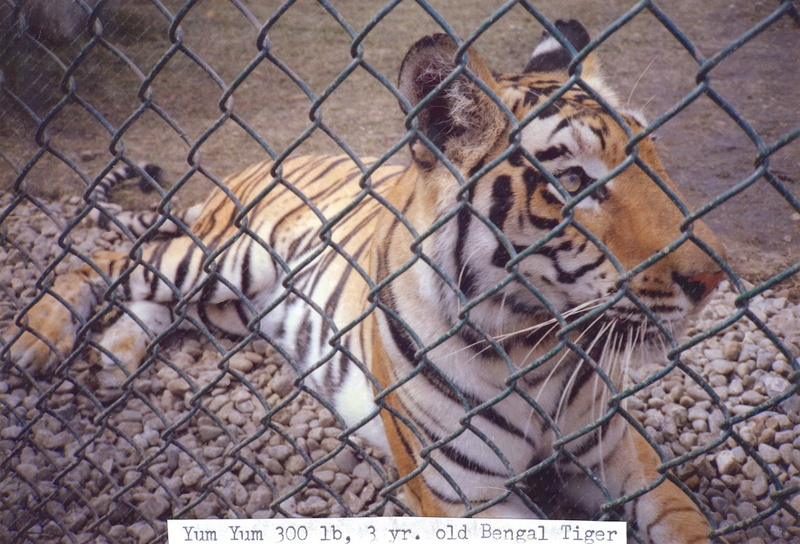 Tigger, the Bengal tiger cub, was raised here. This is where my grandfather truly got a lesson in wild animal behavior. As tigger started growing, he became more and more playful. Just like most cats, he loved to chase and bite. But when a giant tiger does it to you, it’s not as fun. Eventually, Grandpa found better homes for these animals at zoos, or gave them to professionals. At one point there were even pony and elephant rides. 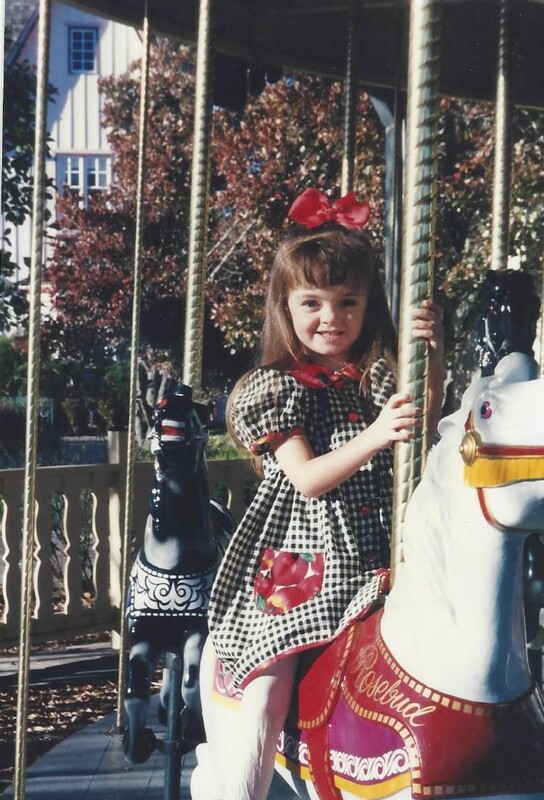 One of my favorite memories as a child was when I finally gained the courage to ride a pony. Maybe this is where my love for adventure began? Now my favorite ride at the park is the Aftershock, which is one of the highest intensity attractions here. The wooden roller coasters were the turning point of the park. 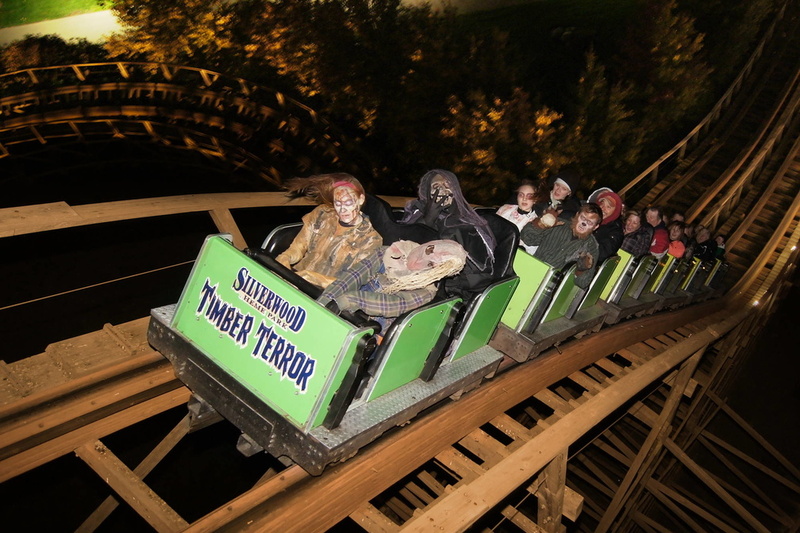 Once we added Timber Terror, (originally named the Grizzly) guests no longer looked at Silverwood as just a small park with a train. It was then transformed to the theme park that it was meant to be. If you love roller coasters, and haven’t ridden Timber Terror, you must. First, you climb straight up 85 feet in the air. Turning, you make the drop into the first chain of hills, provoking Timber Terror’s well-known sensation of weightlessness. It is not over yet though; as you head back, you will scream your way through another run of hills before roaring into a crushing 360-degree turn, finally arriving back at the loading station. My Dad told me that the first time he took me on this ride, he looked over at me and my face was green. 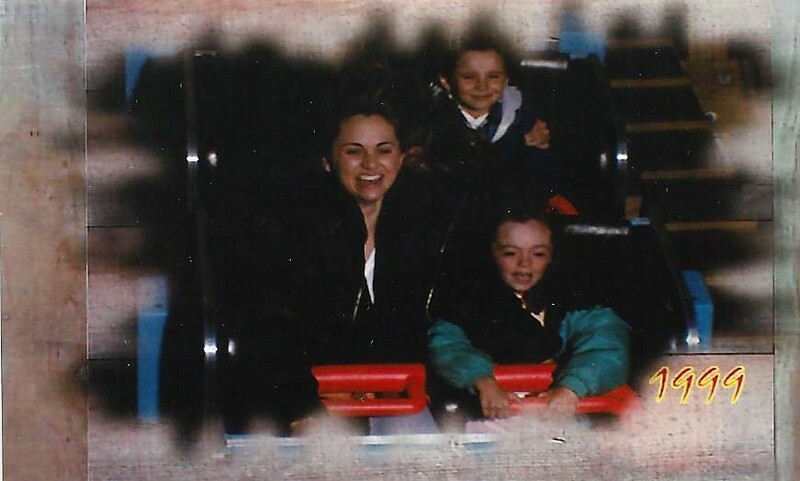 Funny thing is… the moment the ride was over, I begged him to take me on it again. This is also when our family friend, Fred Grubb, kicked off his career. Fred had originally come to the park to build the artificial rock for the Thunder Canyon attraction, and then he was in charge of building a massive roller coaster in-house. He now owns his own coaster construction company and assists other parks with their projects. He has even won a Brass Ring Award for his original design of steel tracks. Timber Terror increased attendance significantly, and showed Grandpa that it was time to add another. I love to ask guests what their favorite ride in the park is. Their answer typically tells me a lot about that individual. Sometimes they are adrenaline junkies that love the high intensity attractions, sometimes they are theatrical and love the entertainment, and other times they enjoy the simple things like the beautiful landscape. On occasion I even get that reserved person that cannot remember the name of the ride, and they begin describing it to me. A common description they give is, “the one that rattles, pulls me all over, and goes underground.” That would be Tremors. 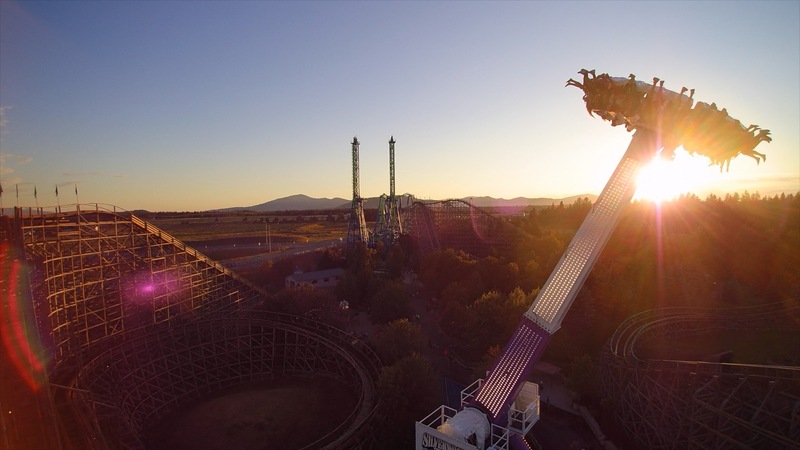 Since Tremors’ opening in 1999, it has been one of the top rated wood coasters in the country. As you leave the loading station, you slowly climb up the first hill until you’re 100 feet in the air. Turning, you make the first drop of 103 feet into a tunnel that goes directly through the Tremors Gift Shop (the first of four underground tunnels). You will continue through additional twists, turns, drops and tunnels with plenty of theming along the way, for those who are brave enough to keep their eyes open, before finally returning to the station. Apparently, Grandpa got the inspiration for this ride by thinking of the movie “Tremors” where worm-like monsters tunnel underground. The next addition to the park was based on an industry standard adopted by most amusement parks at this time. They were beginning to add water parks. Now this thought made sense for those that were located in Florida or California, but Grandpa even made it work in the short season of North Idaho. I still remember walking through the construction day-by-day to see the development. Most kids would beg their parents to put a blow up swimming pool in their backyard, and there my Grandpa was putting in slides, a water kiddie structure, a lazy river, and a massive wave pool right in my backyard. My family and I lived on property for several years, and I will never forget the memories that were made during that time. When thinking of the design of Boulder Beach, Grandpa wanted features that were not in any other water parks. 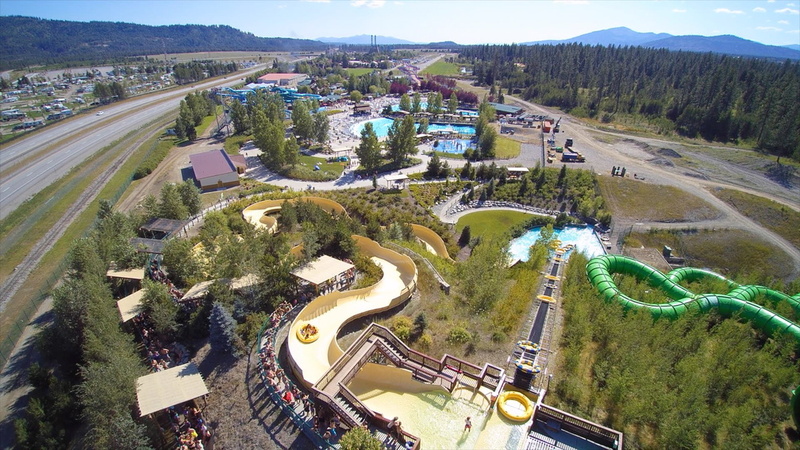 He even added the lazy river so that Idahoans would not miss their favorite pastime of floating the local rivers. After the first season of the water park opening, Grandpa soon realized that people loved it so much that he needed to make it bigger to accommodate the crowd. Since the beginning, the waterpark has now doubled in size. Towering from the skies is another fantastic addition to the park. Panic Plunge resides in the middle of Roller Coaster Alley, and riders cannot get enough. After being secured in your seat, Panic Plunge begins its measured ascension into the air. As you slowly climb up this Goliath, there is just enough time to ponder what you have gotten yourself into before being suddenly released towards the ground. Hearts will jump as gravity takes over dragging you screaming towards the earth. The park continued to be successful, which allowed the opportunity to grow even more. There were several additions during this time, and they so happen to be my favorite yet. Okay, I’m a little biased. This is when Aftershock was added, the water park doubled in size, and Scarywood came about. With the water park being a huge success, the natural thing to do was to expand it. In 2007, we added a second wave pool, more slides, changing rooms, more food venues, and private cabanas. This is my ideal spot when I visit the water park. I have heard guests often refer the Cabanas as the hidden secret of the water park. Well, I don’t know how secret they are anymore since they are typically sold out before the park even opens. Aftershock has acquired quite the fan base over since its introduction, myself included. In 2008, Grandpa came across this ride by accident. One day, Grandpa got a call from the Maintenance Director here at the park. He told him that Six Flags planned on changing their strategy and that they wanted to get rid of some of their coasters. Grandpa purchased the metal monster from Six Flags Great America, got it disassembled, and trucked to Idaho. Since then, it has gained national recognition with as one of the top inverted coasters in the U.S. 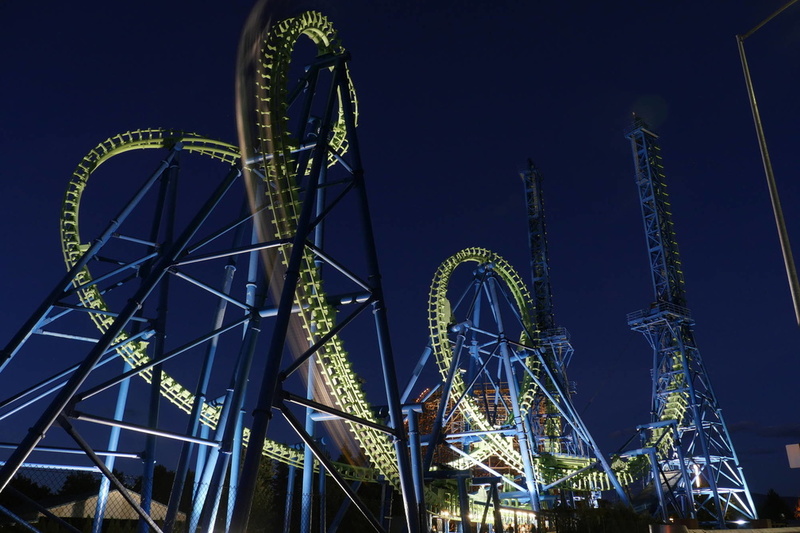 The Travel Channel acknowledged this coaster on their series; “Insane Coaster Wars” which featured six different categories ranging from G-Force Giants to Splintering Speedsters. Aftershock was in the Hang ‘em High category and ended up winning the vote. This is the one ride you need to experience in the front row, trust me. Naturally, I have ridden many rides and have been to the park multiple times. I love this place. With that being said, there are only a few “first time” experiences at the park that I can recall upon. I can remember the very first time I rode the daunting aftershock, and I can remember the foggy opening night of Scarywood. Scarywood Haunted Nights began in the fall of 2009. The night was chilled, the air was foggy, and it seemed like every creature from my nightmares resided there. From the very beginning, Grandpa wanted to take everything over the top and exceed everyone’s expectations. He did his research and found out that Knotts Berry Farm was one of the first parks in the country to transform into a haunted attraction and that they had been very successful. He took his research and observations and mutated Silverwood’s favorite attractions, like Thunder Canyon, Timber Terror and Engine #7, into frightening experiences. By now you can see that the trend became adding to the park approximately every other year. In 2011, Ricochet was added to Boulder Beach. Avalanche Mountain was a family raft ride that appealed to a lot of guests, and it only made sense to add another sister slide. Ricochet rapids is well known as the giant, green, dark, family raft ride. It resembles Avalanche by the twists and turns, but takes riders in and out of dark tunnels. Now the mountain seems complete with each slide on either side. One ride at the park that is truly one-of-a-kind is the SpinCycle. Grandpa saw an intriguing cylindrical-shaped ride during his travels with Grandma in Italy. He knew that he could make it better and wanted to make it even more fun, so he made it bigger! The SpinCycle challenges gravity by taking riders spinning while pulling them 104 feet in the air! When SpinCycle was added in 2013, it was the tallest attraction of its kind in the world. One philosophy that has always been important to my Grandfather is that we have something for every family member here at the park. One area that had room for growth was our “kiddie” section. In 2014, we expanded the kiddie ride area, and created Garfield’s Summer Camp. This section is full of smaller thrills as well as a cafe that’s perfect for the littlest members of the family. My grandfather has quite a few grandchildren with age ranges from 4 to 24 years old. He even has a 6-month-old great grandchild, so having entertainment for everyone is near and dear to his heart. Word of mouth is a wonderful thing. It is something that people tend to trust, and it spreads like wildfire. Guests love the water park, and they love it so much that they begin telling their friends about it. This phenomenon led us to the next addition. This was the year that Riptide Racer joined the Silverwood experience. Standing nearly 60 feet tall and over 400 feet of slide, the mat racing water slide features six side-by-side racing lanes for you and your friends. Riders will lie down headfirst on an aerodynamic mat and push out of the starting gate down the winding tubes. I am counting down the days until I can grab a mat and race down this with my friends once again. Sometimes when I am walking through the windy paths of the park I find it hard to comprehend that my family has created this place. Through each twist and turn, I find another familiar smiling face just waiting to say hello. This just reassures me that Grandpa’s mission has spread. He wanted to provide a beautiful atmosphere where cast and crew members are passionate about creating memorable experiences for the guests. Seeing these familiar faces year after year shows me that others have fallen in love with the Silverwood story so much so that they come back season after season. These cast and crew members have become my family, and I look forward to seeing them each and every season. With that being said, I am looking forward to seeing each and every one of you this year. If you see me walking around the park, please don’t hesitate to say hello and share with me your favorite ride is. Also, comment down below your favorite memory at the park. I would love to take the time and reminisce with you. Excellent post! I just recently (in the last week) moved to the area. I’d visited Silverwood a couple of times in the past- once before Corkscrew moved here from my former home park of Knott’s Berry Farm. This last year was my first visit in quite awhile. I visited on August 21, 2017- the date of the Solar Eclipse. I had a lot of fun BEFORE the park even opened. As a coaster enthusiast, I’ve travelled all over the world riding rides, and visiting parks. Silverwood is an excellent park. Tremors is a world class wooden coaster- and it along with Timber Terror are both beautifully maintained and operated. I’m excited to have this park as my home park now, and I can’t wait to add more photos of the park to my collection. Thank you so much for the history blog. It made the part become more alive for me. I am bringing my family from California to visit the park on May 26th. So looking forward to it. No problem, Sherrill! I’m looking forward to seeing you this summer! Nice blog. Great to know the history. Thank you, Janet! I am happy that I am able to share the Silverwood story with you!